FORT WAYNE, Ind. 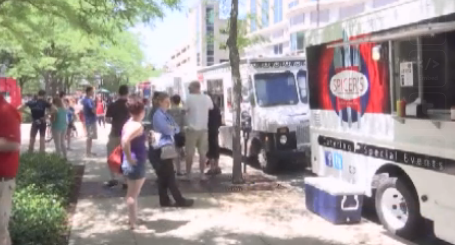 (21Alive) — It’s that time of year when delicious food trucks are popping up all over, but how do you know if they’re clean? 1 in 6 Americans gets food poisoning by eating contaminated food or drinks, and 3,000 Americans die from it each year. 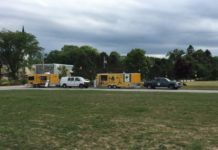 To get these numbers low, the Fort Wayne- Allen County Department of Health routinely checks restaurants for any contamination, including our beloved food trucks. 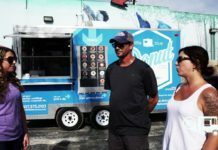 Department Administrator Mindy Waldron says the department doesn’t treat food trucks any differently than regular restaurants in the county, inspecting the “rolling restaurants” between one and three times each year. The inspectors look for all food items to be stored properly, in the correct temperatures, and look to see that no raw food is stored above prepared foods. Cleanliness is also a key point in inspections, making sure running hot and cold water is within the truck to use for proper hygiene methods, such as hand washing. Waldron says during the inspections, some violations can be fixed on the spot, and other violations are much more serious. All local food trucks have a commissary where they can park and clean the inside, and dump or gain water. 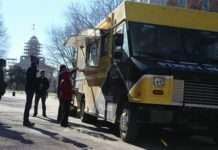 Food truck and restaurant go-ers can find out what their favorites scored on any recent food inspection on the “Allen County Food Inspector” page on the health department’s website. By typing in any business’s name or address and pressing search, one can find the whole list of inspections and how many violations there are – critical or non-critical. One can then click on the date of the inspection to see the breakdown of violations. Click here to access the food inspector page.